Two hours of some of the most distinctive rock music ever written, and the sound of Family, the band that got together in mid-60s, is still ringing melodiously in my ears. As the last strains of Shadow on the Wall faded and Roger Chapman put away his intensely gloccal (my word) wailing for another night, perhaps it was the time to reflect on how a 75-year-old bloke flawlessly grabs an audience and keeps it rocking, clapping and baying for more for nearly 120 minutes. Chappo has put an amazing band together for this short tour, which included the O2 Academy in Leicester, Family’s and Chappo’s home town. Most of those at the packed gig knew what to expect – Chappo returns to the city once every few years and is always well received – he’s a recognised star in a musically star-studded city. Rock and roll is in the man’s blood; it flows through every vein. The on-stage persona has change from being, I still believe, a major theatrical influence on Peter Gabriel in the 60s, to the cheeky chappy that was always there. He’s always had that beaming smile, and he’s always played to an audience as if he’s one of us. It cannot hide the man’s talent and brilliance as a lyricist and poet. The days of cavorting around the stage with gay abandon, long hair flying irrepressibly and playing rock festivals with naked youngsters dancing have gone; what’s left is a purity of music. Chappo bestrides the stage like the Best Man on a stag night. He rules, but his ‘party’ consists of some of the greatest rock musicians this country has produced, many unsung, all remarkable. Behind him there’s John Lingwood on drums, with a Family style that seems to portend the massed ranks of mythical warriors marching to war; beside John, Gary Twigg reminds me of a canal lock keeper – a laconic smile on his face as he controls the flow with minimum effort and absolute note and time perfection; while off to Chappo’s left is keyboard maestro Paul Hirsh. Poli Palmer has been on vibes for as long as Cappo’s been in long trousers, or so it seems; Nick Payn, sax, flute and anything else he can put in his mouth, adds that jazz feel that Family were so good at in the 60s and still are; and then there’s Geoff Whitehorn. I’ve seen a fair few guitarists, but rarely have they been so accomplished, fluent, commanding and in complete touch with the lead singer’s demands. 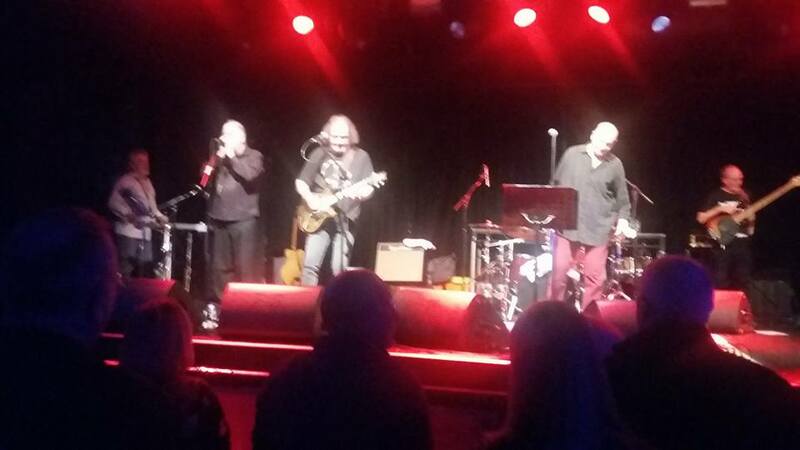 Roger Chapman’s backing musicians have just improved with age. There were tracks from Music in a Doll’s House and Family Entertainment, the early albums that I remember best. Chappo may not have retained the incredible range in his voice and that signature, extended vocal catch in his throat (that’s what I call ‘gloccal’), but the man’s a rock beast. We had Who Pulled The Night Down, the crowd sang along to My Friend The Sun, and the Stones’ Let’s Spend The Night Together. Track upon track, Chappo ruled that stage. The man belies his years. He moves and rocks like someone well under half his age. Go see ‘em – January 13, The O2 Shepherd’s Bush, London; 18th Newcastle O2 Academy; and 20th the Great British Rock & Blues Festival, Butlin’s Skegness. It’s a night in with the Family. Previous Post50 years on – and still proud to be precisely rawNext PostIs the traditional book launch event over?